Achim Schmidt: Mountain Bike Training - als eBook kostenlos bei readfy! 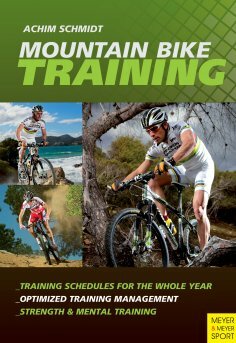 This book is a solid introduction to mountain bike training that is based on training science foundations and discipline-specific features (e.g., cross-country and marathon). Details and overviews of all basic areas of training methodology are presented: aspects of heart-rate-oriented training, periodization of training into different phases and advice on how to plan and evaluate your own training diary. Information and suggestions on strength training and stretching are accompanied by tips on optimal and performance-enhancing nutrition. The book finishes with descriptions of technique and mental training. Achim Schmidt was born in Cologne, Germany, in 1969, and currently works as a sports scientist in the cycling department at the Institute of Outdoor Sports and Ecology at the German Sport University in Cologne. He has been actively involved in road and mountain bike racing since 1985. Since 1989 he has been an A-Amateur (category 1) road racing cyclist and he also took part in mountain bike races. He has coached many male and female cyclists. Schmidt has published several papers and books on the subject of cycling and works as a consultant for various clubs and associations in the areas of youth and junior talent development.